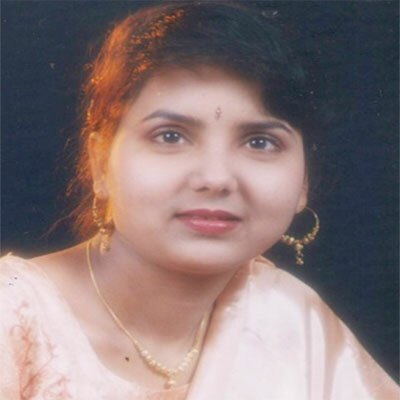 Dr. Varsha Wasudeorao Wankhade is currently working as Assistant Professor, Department of Zoology at Savitribai Phule Pune University, Pune, India. She is life member of different Scientific Associations such as Indian Science Congress Association, Biotech Research Society of India, Indian Society of Cell Biology and Fellow of International Science Congress Association. She is having teaching experience of about 18 years. She also worked as Head of the Department of Zoology and President of ECO CLUB at Bhartiya Mahavidyalaya, Secretary of Departmental committee, Department of Zoology, Savitribai Phule Pune University. Dr. Varsha Wasudeorao received number of honors include Vidyabhushan Award, 2nd Merit in PG exam Zoology SGB Amravati University Amravati, received recognition as a PhD guide, Maharashtra Government Fellowship for PhD, Second best Performance in Poster Presentation at National conference on “Emerging trends in Physical, Chemical and Life Sciences”. She supervised 9 MSc student projects, 4 PhD and 5 M.Phil students are currently in her supervision. She has published 1 book and 23 research articles in journals, 12 abstract as author/co-author. She also attended number of training workshop and conferences at national and international level. Wankhade, V., N. Manwar and A. Malu, 2014. Preliminary studies on diversity of order coleoptera at Sawanga-vithoba lake region, District Amravati, Maharashtra, India. J. Entomol., 11: 170-175. Manwar, N. and V. Wankhade, 2014. Seasonal variation in diversity and abundance of butterfly at Sawanga Vithoba Lake Area District Amravati, Maharashtra India. J. Biol. Sci., 14: 485-493. Wankhade, V.W. and N. Manwar, 2013. Diversity and guild structure of spider fauna at sawanga-vithoba lake (malkhed project) area in pohara forest dist amravati, Maharashtra, India. Int. J. Zool. Res., 3: 7-16. Wankhade, V., R.B. Andhale and S. Lodha, 2013. Prediction of physiological status of sickle cell anemic patients by quantitative observations of microscopic components of urine. Trends Med. Res., 8: 27-31. Wankhade, V., R.B. Andhale and S. Lodha, 2013. Microscopic investigations of urine of sickle cell anemic patients. Int. J. Zool. Res., 3: 1-6. Wankhade, V., R.B. Andhale and S. Lodha, 2013. Diverse clinical manifestations in sickle cell anemia: Study in District Amravati, MS India. J. Blood Disorders Transf., Vol. 4. 10.4172/2155-9864.1000136. Wankhade, V., N. Manwar and A. Malu, 2013. Study of soil (Sediment) quality of Sawanga (Vithoba) lake: A function of vital living systems within ecosystem. Int. J. Zool. Res., 3: 5-12. Wankhade, V., 2013. Estimation of diversity, abundance and composition of bacterial population in tropical lake sediments using terminal restriction fragment technique. Biosci. Biotech. Res. Comm., 6: 150-157. Andhale, R.B., S. Lodha and V. Wankhade, 2013. Renal physiological status of sickle cell anemic patients, District Amravati, MS India. J. Blood Disorders Transf., Vol. 5. 10.4172/2155-9864.1000188. Alipour, F. and W. Varsha, 2013. The snake fauna of Mulshi Taluka, Pune District, India. Russ. J. Herpetol., 20: 16-18. Wankhade, V.W., N.A. Manwar, A.A. Rupwate and N.M. Raut, 2012. Diversity and abundance of spider fauna at different habitats of University of Pune, M. S. (India). Global Adv. Res. J. Environ. Sci. Toxicol., 1: 203-210. Wankhade, V.W., 2012. Effect of malathion on lipid peroxidation and enzymatic activity of liver serum and brain at different exposure periods in mice. Res. J. Environ. Toxicol., 6: 142-150. Wankhade, V., N. Manwar and A. Malu, 2012. Evaluation of status of ecosystem of Sawanga (Vithoba) lake (Malkhed Talav), district Amravati, Maharashtra by assessment of some physicochemical characteristics of water. Int. J. Sci. Res. Publ., 2: 1-10. Wankhade, V., N. Manwar and A. Dahihande, 2012. Effect of water pollution on assemblage and community structure of dragonfly at three ecosystems of pune (india). Golden Res. Thoughts, Vol. 2. .
Wankhade, V. and K.M. Kulkarni, 2010. Inhibition of acetylcholinesterase in mice liver by dieldrin. Environ. Ecol., 28: 1795-1797. Wankhade, V. and K.M. Kulkarni, 2010. Effect of dieldrin toxicity on brain ache activity of mice. Environ. Ecol., 28: 1179-1182. Wankhade, V., K.M. Kulkarni and A.R. Malu, 2009. Effect of malathion on plasma Ache activity of mice. Environ. Ecol., 27: 854-856. Wankhade, V., A.R. Malu and S.P. Pawar, 2009. Effect of malathion on liver ache activity of mice. Biol. Med., 1: 122-126. Wankhade, V., K.M. Kulakarni and A.R. Malu, 2008. Effect of malathion on brain ache activity of mice. Environ. Ecol., 26: 494-496. Wankhade, V. and K.M. Kulkarni, 2000. Liver protien profile of the fish channa orientalies exposed to endosulphan. J. Aquatic Biol., 15: 89-91.